Victor R. Allder, 71, passed away peacefully on Sunday, January 27, 2019, at Baystate Medical Center. Born to the late Simeon and Gertrude Allder, in Barbados, West Indies, he was the third of five children. 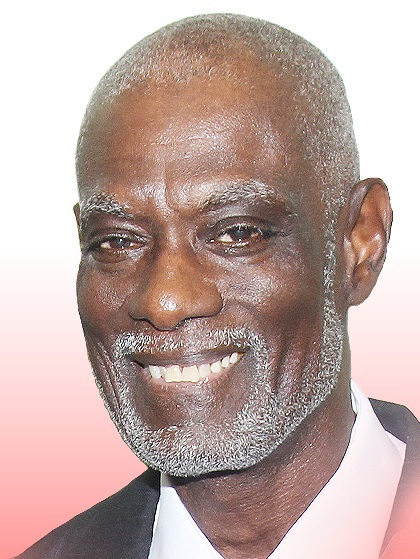 He completed his formal education in Barbados before moving to Springfield in 1967, along with his Mom and siblings, to join his Dad who preceded them. In 1968, he joined the U.S. Navy, and served four years. Upon returning home, he worked as an Electrical Mechanic at Monsanto Chemical Company in Indian Orchard until retirement. Unable to keep still for long, he quickly found employment with U-Haul and remained there until his illness prevented him from continuing. Victor was perhaps happiest when he was deep-sea fishing, traveling by RV, or caring for his lawn. He enjoyed several fishing trips each year and also enjoyed sharing his stories with anyone who would listen. Victor is survived by his loving wife, Jacqueline (Simmons) Allder with whom he shared his happiest years; his siblings, Winston, of NC, Morris of Springfield, and Dr. Ann Stennett (and Patrick) and Marcia Foulks (and Dr. Devon) both of Wilbraham; his children, Michael of GA, Angela, Shawna, and Victor Jr., all of Springfield, and Melinda of NC; his stepchildren, Leon, Tashawn, Shequinna. and Justice, all of Springfield; and his grandchildren, nieces, nephews, cousins, and other relatives and friends. The calling hour is 11 a.m. to noon Monday, February 4, 2019, at Shiloh Seventh-Day Adventist Church, 797 State Street, Springfield, with a Life Celebration Service at noon, followed by interment in the MA Veterans Memorial Cemetery in Agawam.